The amount of cannabis $20, $50, or $100 will get you varies widely depending on where you are, what you like, and how you shop. 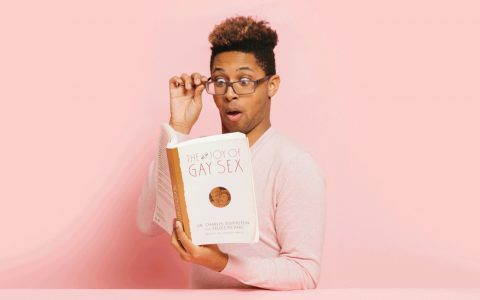 It depends on factors like market size, tax rates, whether you’re a recreational consumer or a medical patient, and what consumption methods you’re shopping for. That said, any of these amounts can go a long way at a cannabis dispensary if you do it right. 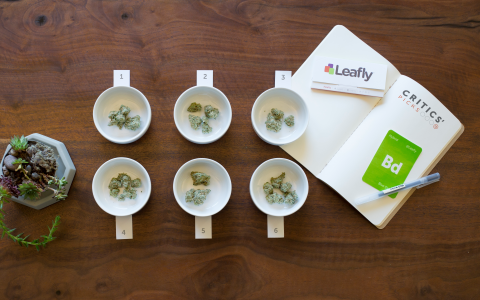 A few helpful tips: First, use Leafly dispensary pages’ menu tabs to research product selection ahead of time and make sure you like what you see before making a trip. 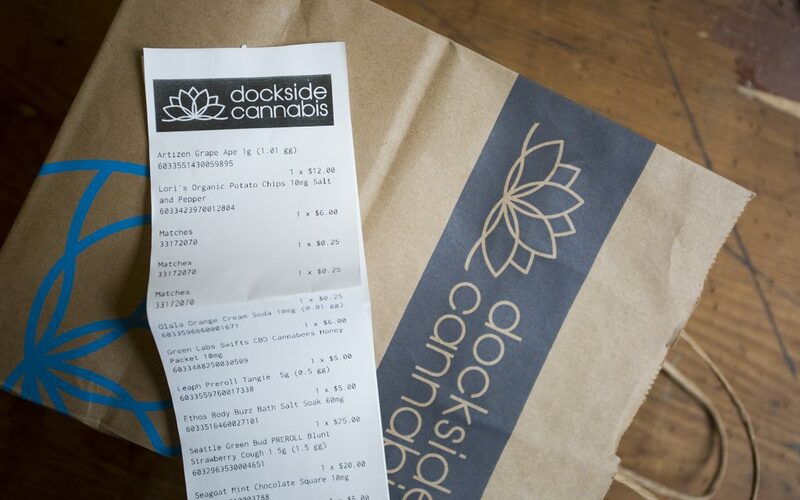 When you get there, be sure to tell your budtender up front what your budget is: Matt, who helped me on my visit to Dockside, did a great job helping me stick to what I intended to spend and point out new products that fit within that window. Also, remember to account for tax. 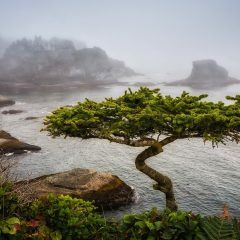 Washington state maintains a 37% excise tax on all cannabis products across the board, with a majority of that revenue going to public health programs. Most dispensaries will include the tax in product pricing, but if the prices you see listed seem crazy-low, that may be the reason. 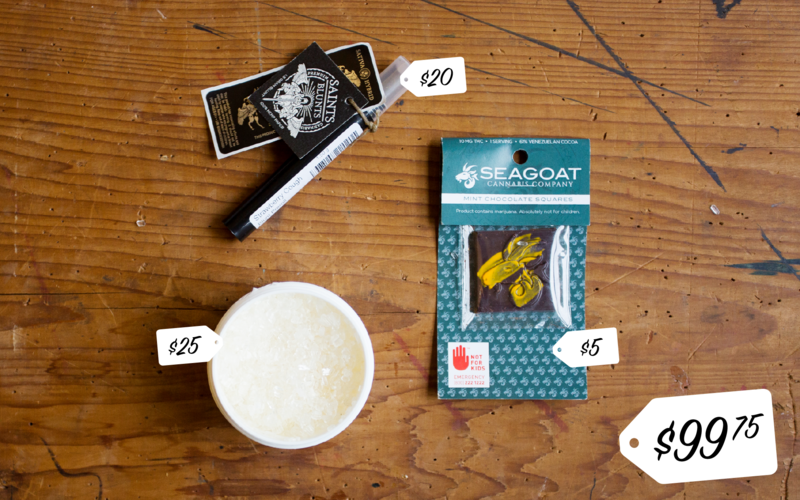 I checked out Dockside Cannabis in SoDo to find out what $20, $50, and $100 will get you at a Seattle dispensary. Our price points are cumulative, so the images pictured at each successive level are in addition to all of the products seen before them. How Much Cannabis Will $20 Buy? At $20, my budget was relatively limited, so I spent the bulk of our budget on flower (choosing to go for one higher-quality gram rather than two grams from the bottom shelf), grabbed an inexpensive single-serving edible, and snuck in a couple freebies (and near-freebies) to fill out the cart. 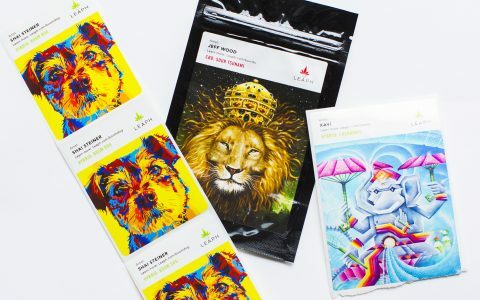 Grape Ape by Artizen | Artizen’s bright, bold packaging always catches eyes immediately from behind the counter, and since the brand that won our competition for the best Blue Dream in Washington state, I trust them to provide consistent high-quality cannabis. At $12, this isn’t a budget gram, but I’m willing to pay more when I can count on getting great value. Lori’s Organic Salt and Pepper Potato Chips | There are a lot of sweet edibles out there, so this savory option, relatively new to the market, caught my eye right away. Turns out I discovered a new favorite: These chips are as tasty as any non-infused brand you’d pick up at the grocery store, and I could hardly detect any cannabis flavor at all. Even better, they were on sale the day I visited—I got a discount of $1.20 at checkout, so the actual price ended up being $4.80, a bargain for a single 10mg serving. Matches and crutch cards | While I also carry a lighter, I still enjoy lighting my joints the old-school way, with matchbooks from my favorite places. And It’s always worth asking whether your dispensary offers any freebies; I wouldn’t have noticed the pile of complimentary crutch cards sitting new the register otherwise. 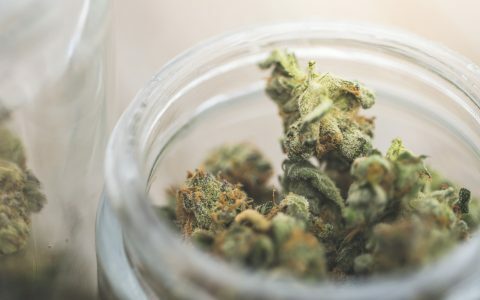 How Much Cannabis Will $50 Buy? At $50, you’ve got a lot more wiggle room. 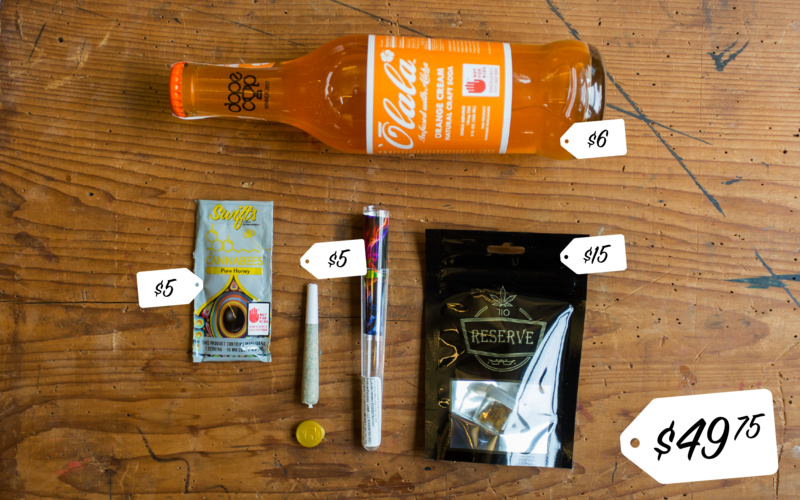 This price point let me add a concentrate, an award-winning soda, a CBD edible, and a pre-roll (complete with an awesome custom-designed strain sticker) to my initial spend. Orange Cream Soda by Olala | This infused beverage won Washington’s 2017 Dope Cup award for Best Liquid Edible, so I was all for trying it out. At $6, it’s also cheaper than most other THC sodas at Dockside. Electric Lemon Concentrate by MJ Botanicals | To stay within my budget, I went with a concentrate on the cheaper end of the spectrum, and targeted a flavor I love in my dabbable extracts: citrus. 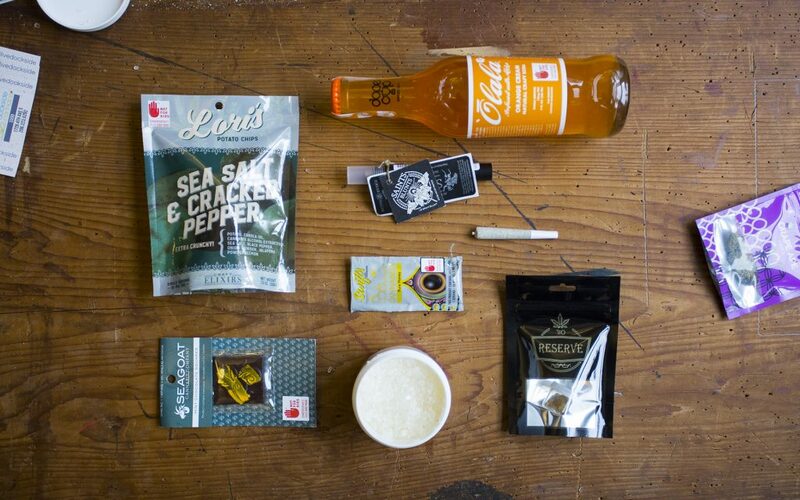 Swifts CBD Cannabees Honey by Green Labs | I always like to pick up a CBD-dominant product on my dispensary trips, and CBD honey is extremely versatile—I can add it to drinks, spread it on biscuits or toast, or savor it plain like a honey stick. Tangie Pre-Roll with Sticker by Leaph | Having toured the Leaph facility and met the people growing this strain, I feel a personal connection to the brand and always keep my eye out for their products. I also like collecting the brightly colored, artist-designed stickers inside their flower and pre-roll packages. 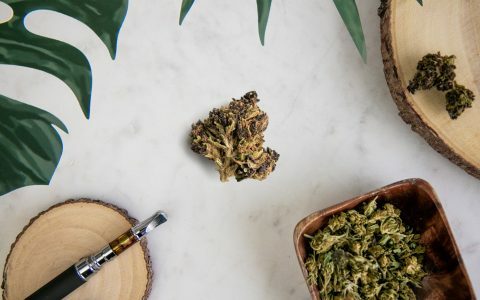 How Much Cannabis Will $100 Buy? Unless I’m buying in large quantities for something like a baking project or a get-together, I rarely feel the need to spend more than $100 on a dispensary trip—I’d rather shop more frequently, and use those frequent trips to try a wider variety of products and maximize their freshness when I enjoy them. 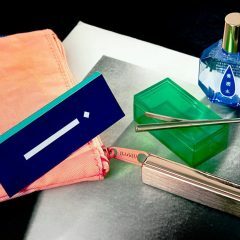 With an additional $50 at my disposal beyond what I’d already spent, I splurged on products that aren’t necessary but are definitely fun: a cannabis-infused bath soak, a blunt to share with friends, and a colorfully painted mint chocolate square. Body Buzz Bath Salt Soak by Ethos | This product gave me an excuse to try something new, and I appreciate that their soak is made with full-flower extract that not only contains 60mg THC, but also includes up to 40mg of cannabinoids such as CBD, CBDA, CBN, and CBG, as well as additional terpenes. 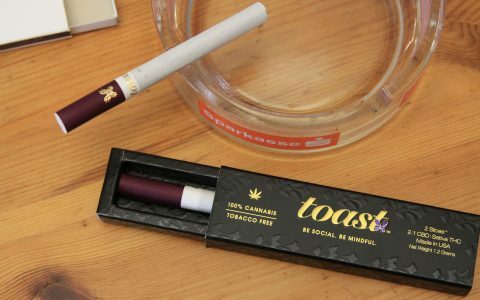 Strawberry Cough Blunt by Seattle Green Bud | Since Washington doesn’t allow sales of cannabis products that incorporate tobacco, producers have gotten creative, wrapping “blunts” in other leaf material, such as cannabis leaves. Like the Leaph pre-roll, this product also comes with a bonus sticker. Seagoat Mint Chocolate Square | With a goat icon and a splash of color across the front of this Ghirardelli-sized chocolate square, this product caught my eye even though the brand was new to me, and the fact that my budtender endorsed it sealed the deal. The squares are made with single-origin chocolate from Venezuela, and weigh in at 61% cacao. A final spend: Not included on the receipt was my $5 tip, bringing the official total (including the $1.20 discount applied to the Lori’s chips at checkout) to $103.55. 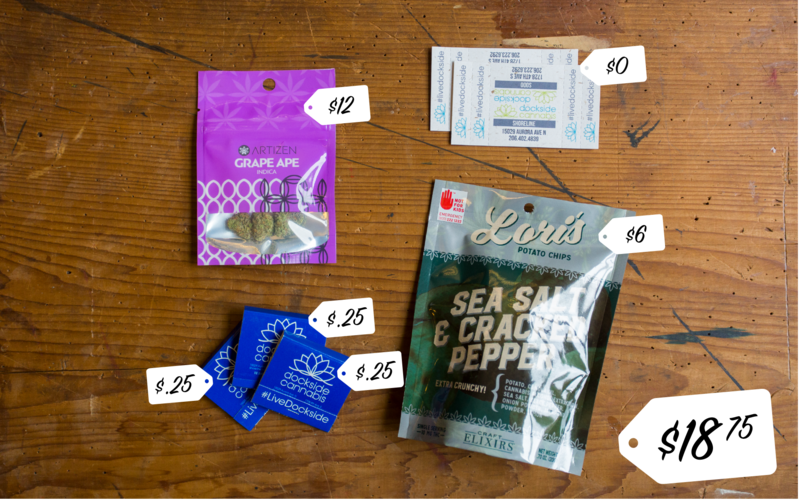 While tipping isn’t required, if your budtender is working with you through choosing a dozen cannabis products (or even a few) to fit your budget, they definitely deserve some appreciation. If you’re absolutely set on getting out the door under $100 total, skip that extra $5 chocolate and put the remainder in the tip jar. So shopping around actually works? I believe it has the market forces I describe. I was only jesting. But it does pay to shop around (in Seattle) if ones so inclined. I’m also a WA. MMJ patient. Pricing can vary widely here (Seattle). There’s also time and convenience to consider, especially on smaller purchases. I pay a little more than you, but not that much more for a comparable strain. I don’t drive, pay to park either, so it’s a pleasure to just walk/bus up the street, and into a store. Think that’s a great point about the 37% excise tax. Some might call it usuary. My counter would be then at what point do you drive the black market illegal grows with that tax? If my dispensary gives me what I consider a fair value $20 eighth sweet ATF 23% and good service they always get a good* tip $$ from me. But price drives me to. And principal. I’ll drive farther (more money time) to spend less. I call it supply/demand consumer driven pricing. Takes discipline. Has a collective cummlative reward tho. Develop relationship, take state out with tip. Black market my other counter. Leafly is a great resource, another good point. It appears SoCal has pretty good deals in comparison to other state’s prices, at least at my go-to dispensary in San Fernando Valley (CPR). Top-shelf 20-34% THC flower is $30-40 per 1/8th, $25-35 per gram of 70-89% shatter, Kief is usually around $10 per gram and it’s about $1 per gram of THC in edibles, but there’s usually several deals to be had and most clubs offer daily deals. 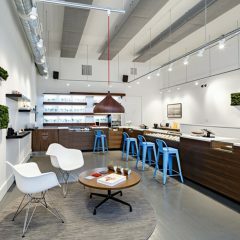 I’d definitely suggest checking out Leafly.com to find your nearest dispensaries and to see menus and prices. You might even find a deal or two. You can also find Physicians who are allowed to provide a CA Recommendation, which normally run $35-40 per year, a few dollars less to renew. 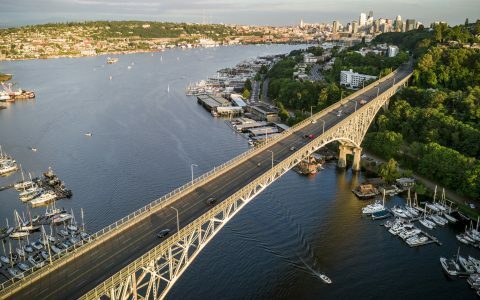 Can’t wait to see what Seattle has to offer, I hear so many wonderful things about the quality and ingenuity of their flower, concentrates, edibles, products and glass. Thanks for the info. However, I think this industry is really disgustingly greedy. Not like back in the day when you made your own edibles, grew your own plants. The weed industry is no different than Big Pharma. I should be allowed by law to grow my own and not fill the coffers of corporations. If you live in a legal state, you should be able to grow your own – and cook with it. Not sure where that comment is coming from? I’ve just bought the 50/50 cannabis oil from them. The salesperson was nice and the order process is simple. Many thanks to their staff for their stealth packaging. Very good company by the way. Cbd Rich oil has literally changed my life. I was able to abandon some strong opiates, and my health is doing just fine. Highly recommend!